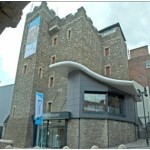 The Tower Museum is an extremely popular attraction amongst tourist that visit the walled City of Derry (City of Culture 2013). The Tower Museum is a large grand building with walls made of old stone, which gives the museum its magical castle like appearance. The Building has a great enticing charm, within the stoned walls of this grand building lays the story of Derry and its great journey through history, its great triumphs and success. 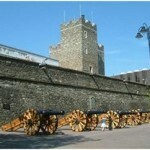 What further adds to the Museum’s grandness is the fact that theTower Museum is wrapped around the historic Derry walls along Union Hall Place. It opened in 1992 and since its opening it has won four major awards for its spectacular work and for the many brilliantly organised and decorated exhibitions. 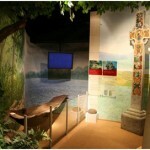 Each exhibition will have interactive technologies to entice and engage our eager visitors. The Museum will display many temporary exhibitions throughout the year, it uses exceptional visual and interactive technologies to engage and involve the people in the stories they have come to see. 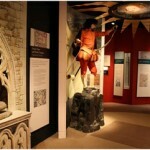 ‘The Story of Derry’ this exhibition tells the story of Derry (one of Ireland’s oldest cities.) from its implantation, to the siege of Derry and even the growth and development of Derry in the 18th and 19th centuries. Not only does the exhibition follow the past journeys that The City of Derry has engaged in but it also follows its present stories of the 20th century, including the dramatic events that unfolded during the civil rights movements and the troubles it also describes the emotions and impact that these events had on the lives of the people that inhabited the city. The second permanent exhibition is the “Armada shipwreck -La Trinidad Valencera” this exhibition tells the tale of the La Trinidad Valencera which was one of the largest ships in the Armada fleet, it was discovered four hundred years after its crash on Kinnagoe bay in County Donegal but the Derry scuba aqua team. The exhibition is jam packed with artefacts recovered by the team of divers, it also tells the story of the lives of the soldiers and the crew that were aboard the ship that fateful night in 1588 that unfolded due to the violent storm the Armada fleet came up against on the La Trinidad Valencera . 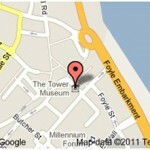 Accommodation available by Derry Self Catering Apartments or our range of Bed & Breakfasts.